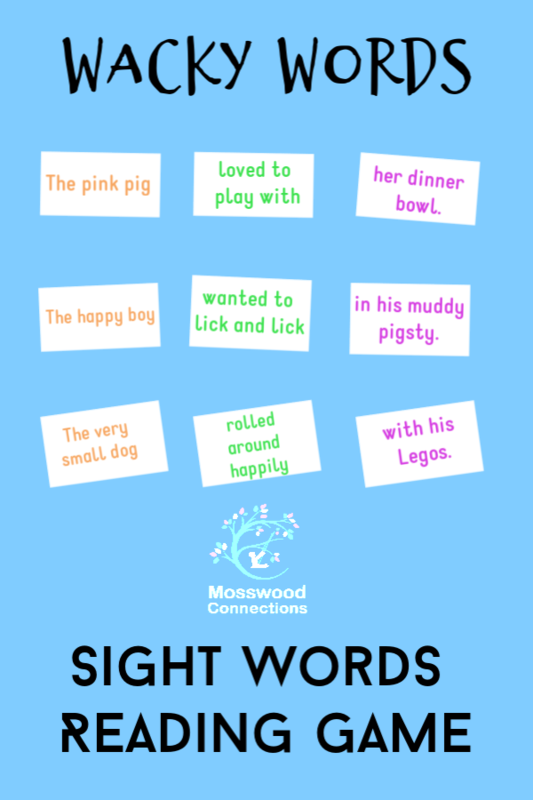 Sight Word Activities the Kids Will Love! My son used to resist any activity that felt like he was having to work to learn. He believed that learning should be fun and we actually agree with him. So when he showed that he was ready to learn sight words it seemed that appealing to his sense of humor would be a fun way to get him interested in learning to read sight words. Your kids will enjoy practicing their reading skills with our Sight Words Reading Game! 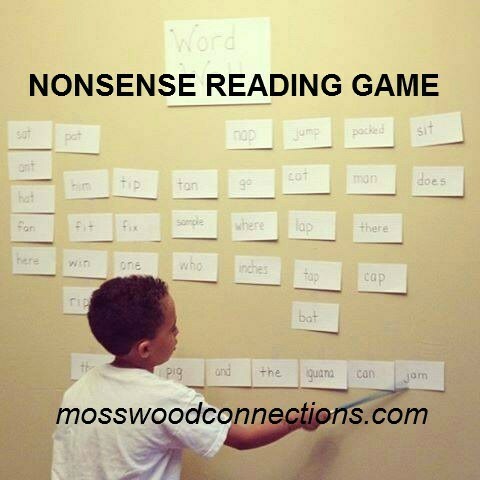 Wacky Words Sight Words Reading Game: your kids will love to learn to read with this activity. Words that are written on paper– 3 x 5 post-it notes work great. Write sight words on the papers. Make sure that some of them are silly. Put the words up on a wall. 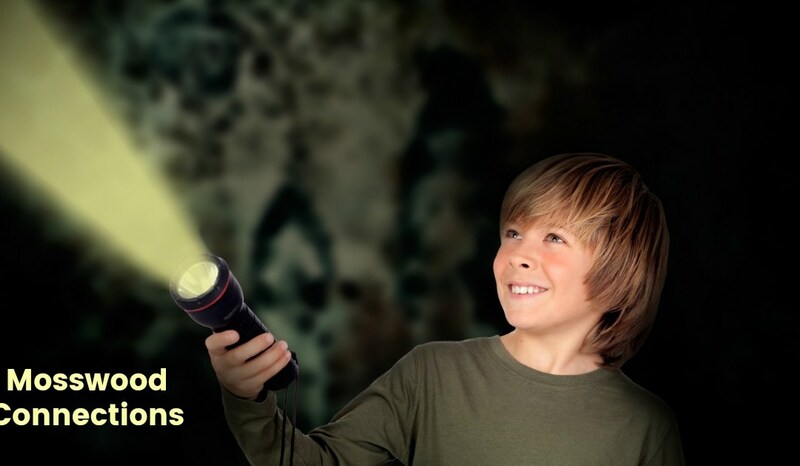 Encourage children to come up with their own words. Sometimes we color code the words: nouns one color, verbs another color, you get the idea. Have the children choose words to make a sentence. See what silly sentences they can come up. Act out the wacky words sentences. Have the kids choose their favorite wacky word sentence, then draw a picture. We like to change the sentences around while the kids aren’t looking and see what they think when they notice. Once the children have mastered sight words change the game. Instead of just one word on a card make a set of beginning, middle and end phrases that when put together would make a sentence then mix them up. The pink pig rolled around happily in his muddy pigsty. The happy boy loved to play with his Legos. The beautiful butterfly flew in circles around my head. The very small dog wanted to lick and lick her dinner bowl. Separate the cards into 3 sections: Beginning phrases, middle phrases and ending phrases. The happy boy wanted to lick and lick in his muddy pigsty. Point out that the beginning of the sentence always starts with a capital letter and the end always has punctuation. Act out your wacky words sentences, the kids will be rolling on the ground, laughing! Reading Games that Make Learning Fun! Your kids will love building sight words with LEGO bricks. This fun activity comes with printable pages that make it easy enough for children who are just beginning to learn sight words! Sight Word Stomp from Look! We’re Learning! 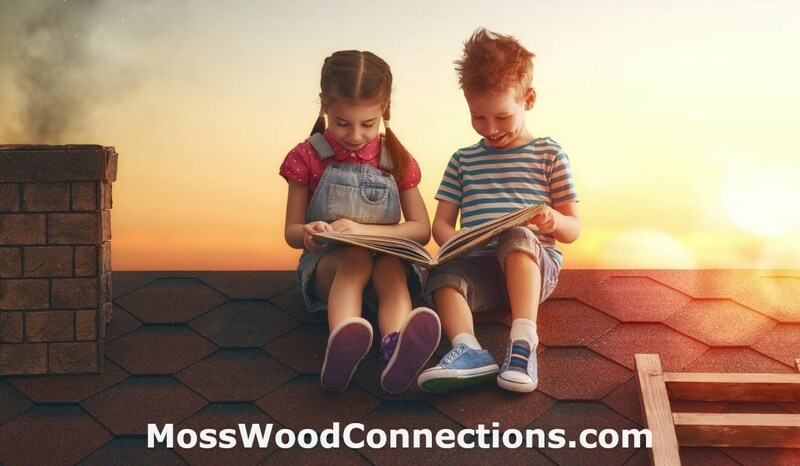 is a great outdoor reading activity great perfect for short attention spans! Practice learning sight words and breath control with this Blowing Down Sight Words game from Toddler Approved. Playdough to Plato combined a child’s love of cars with learning with a Sight Word Drag Race.